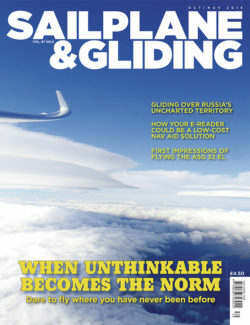 From gliding over uncharted territory in Russia, to achieving unthinkable flights in the UK, you can read about it in the Oct/Nov issue of S&G. You can also find out what it’s like to fly the ASG 32El and how to turn your eReader into a low-cost navigational aid. A gliding trip in the Himalayas gave Sebastian Kawa a burning ambition to explore areas where nobody has flown by glider. One of these uncharted areas is the Caucasus Mountains in Russia. The inaccessibility of these mountains and the weather traps has effectively deterred pilots in the past. Returning to Russia after flying in the Sailplane Grand Prix at Usman, Sebastian became the first foreign glider pilot to obtain licence validation for glider flight in Russia. With permission granted to fly in the mountains, weather conditions proved challenging and certainly not for inexperienced pilots. Sebastian said: “It felt like we were jerking the mountain devil by the tail.” He now hopes to return to Caucasus to attempt a wave flight. You don’t have to travel quite so far to experience flying beyond your usual expectations. Enterprise competitors are regularly encouraged to maximise the flying that the weather can give on any day– and not just to stay up, but invariably to go much further than expected given the weather. At the end of this year’s competition at Shobdon, Enterprise veteran Nick Gaunt said: “Nympsfield made severe warnings about flying in Wales where are no field to land in, so did the Mynd, so did my own club at Sutton Bank when John Fieldon asked us to cross the Pennines. The unthinkable becomes the norm.” Enterprise newcomer Zoe Mallam (16), who took part in her wooden glider, says she will be recommending the competition as an inspiring week for anyone and everyone. Competitors finish the competition with a sense of accomplishment, pride and plans for more enterprising flight. Neville Almond found that his cross-country flying was made simpler following the discovery that he could run XCSoar on his Kobo eReader. Poor sunlight readability can be a weakness with the screens of navigational instruments, whereas sunlight eReader screens actually become clearer in direct sunlight. In his comprehensive article, Neville explains how to take a Kobo eReader, update it with XCSoar software, make a modification to include a GPS chip and barometric sensor, and end up with an inexpensive, sophisticated and yet easy to use navigational aid. 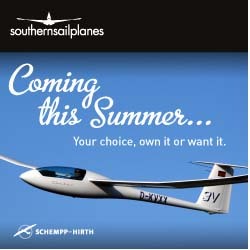 Starting with a clean sheet of paper allowed the Schleicher development team to implement additional special features. Bernard Eckey was delighted to have the opportunity to fly the ASG 32 El, with the integration of a new electric drive unit into a proven airframe. With its comfort, agility and control harmony, and what he says is the cleanest fuselage of any two-seater currently on the market, Bernard describes the ASG 32 El as another masterpiece from designer Michael Greiner. Also in this issue: British team captain Lemmy Tanner reports from the Worlds in Lithuania, where the British team won two Bronze medals. Tony Cronshaw talks to Kevin Atkinson about plans to Aim Higher in 2017. Freddie Turner introduces a report from the Juniors’ development trip to Issoudun. David Innes reflects on a rough ride to regain rating. Two clubs describe how they have benefited from Aim Higher courses. Katharine York reports on Lincolnshire Gliding Club’s High Flying Girls days. Andrew Jarvis reports from the 44th International VGC Rally at Räyskälä, Finland. BGA Development Officer Alison Randle explains why clubs that provide what people want and avoid negative experiences will have happy and active people in them. 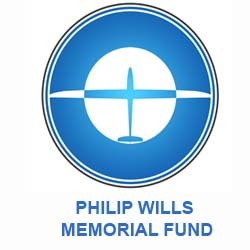 Debb Hackett reports from Virginia on part three of Willy’s Schweizer saga. Plus, there are many more of your stunning images in the Gallery pages.